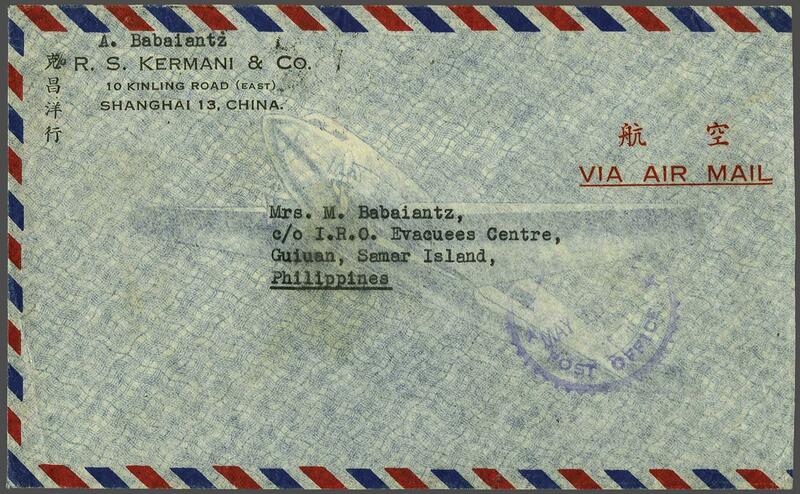 Communist East China 1950: Airmail cover from Shanghai to Samar Island, Philippines franked with unusual combination of issues: East China Oct 1949 Mao $ 200 bottle-green, North China People's Post Feb 1950 $ 5'000 scarlet in a horizontal pair and PRC $ 500 on orange Unit stamp, perf. 12, all tied by Shanghai cds's (April 25) in black. Obverse with 'IRO-UNEC Post Office' arrival in violet (May 10). 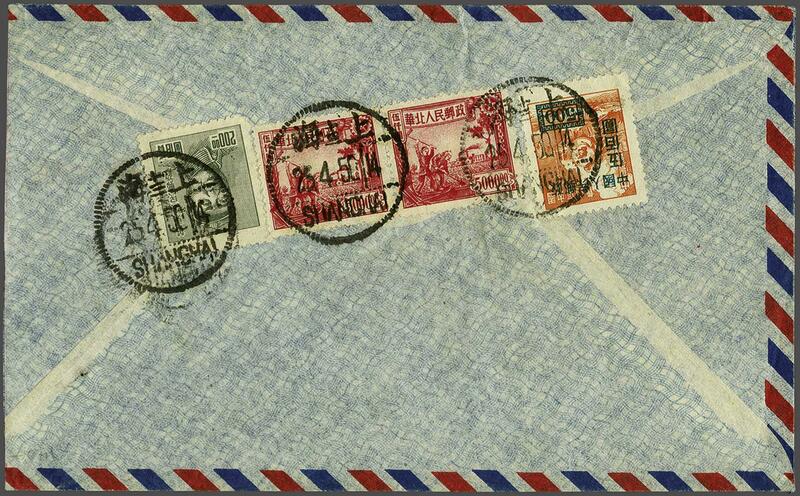 Cover with slight opening trim at side but a rare mixed franking to an unusual destination.